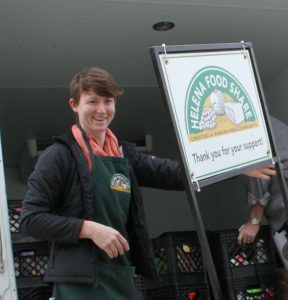 For all general inquiries, please call us at (406) 443-3663 or email us at info@helenafoodshare.org. 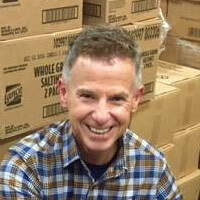 Bruce was born in Billings and has lived in three Montana cities: Helena, Great Falls and Billings. When he’s not at the helm of the Helena Food Share ship, Bruce can be found dancing barefoot, hiking or reading a good novel. Bruce’s favorite snack from childhood is his Grandma Amada’s Arroz con Pollo. “No one else can make it like she did,” Bruce says. As Kim describes it, she grew up in “The land of plenty (East Helena), where the bounty of Montana has nourished me with food, family and friends.” Kim appreciates spending time outside in Montana’s stunning flora and fauna. The breweries in Montana also have a special place in her heart. The smiles, laughter, tears and joy that make up a day at Helena Food Share are what make Kim love her job so much. Kim has a sweet tooth for her mother’s Swedish toffee cookies. Kara hails from “the great state of Oregon,” as she refers to her home state. When she’s not working at Helena Food Share, Kara enjoys biking, camping and basically “doin’ stuff outside.” Sometimes she reads a book (or more if she’s on vacation). Beware! Kara is a martial artist with a yellow belt in karate. Kara also loves hanging out with her massive Newfoundland dog Goose. Kathy grew up outside of Great Falls in Sand Coulee, Montana. As a young girl, Kathy loved her mom’s homemade chicken noodle soup and still asks her mother to make it. Kathy likes crafting, gardening and sports – specifically the Dallas Cowboys. Spending time with her husband of 29 years, two grown and married daughters and five awesome grandsons (ALL UNDER THE AGE OF 5!) is Kathy’s favorite thing. Kathy is proud to be part of an organization that makes such an essential impact on the community. She loves being able to thank our supporters for the difference they are making. Heidi is from the Chicago area, but has called Helena home for nearly twenty years and doesn't miss a day hiking in the South Hills with her two mutts. 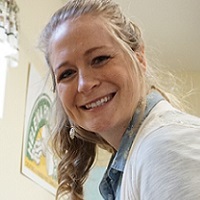 Heidi comes from a food family - her husband is a chef, one of her boys is always cooking something for her to clean up and her mother makes everything from scratch including bread, yogurt and soap (but, don't eat the soap!). 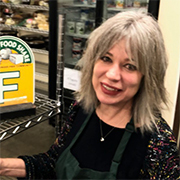 Heidi loves to see the community come together with donations, volunteers and love each day to create a grocery store from scratch, providing such an essential need. Dave is a Montana boy, originally from Twin Bridges. Dave is wise enough to know that his favorite food comes from his wife’s kitchen; Mary Anderson’s coconut lemon cake. When Dave isn’t busy driving the Helena Food Share truck, he spends his time toiling in his raised bed gardens, scrapbooking and building stage sets. Dave especially loves hearing people’s stories as they come to Helena Food Share. He doesn’t mind his co-workers too much either. Daneal hails from the small hamlet of Fairfield, Montana (the malt barley capital of the world). Daneal says her favorite meal from childhood includes anything with a side of artichoke. She also loves cheese and pickle sandwiches, specifically, sharp cheddar cheese, dill pickles and white bread. When she’s not at Helena Food Share, Daneal loves to go camping and fishing with her two adorable sons, her husband and friends. 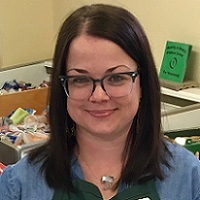 Daneal appreciates working at Helena Food Share because she likes the commitment to valuing each person who walks through the doors. Jami grew up in the south, where her earliest memories are food related. She has several iron skillets and still drinks tea out of mason jars. On the weekend she can be found snuggling with her husband and lab in their tiny vintage camper. She is obsessed with cookbooks and enjoys filling the recipe board with season recipes that use ingredients from the pantry. She is the happiest when sharing meals with her family (especially around campfires). John is a Huntsville, Alabama native. He lived in the state until he turned 18. 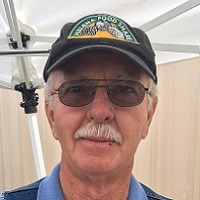 Now that he resides in Helena, John enjoys playing music with his various bands, hiking and camping. John is also fond of breakfast for dinner, and his wife Claire. Working with volunteers is the highlight of John’s time at Helena Food Share. Teresa is from the Lake Woebegone region of Minnesota. 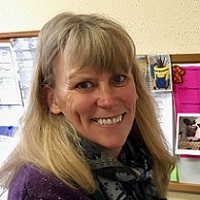 When she’s not making sure things are running smoothly at the pantry, Teresa likes hiking, cycling, river rafting, quilting, crafts, photography, gardening. Her favorite food is her grandmother’s dumplings. Teresa has trekked through Nepal three times and made it to 18,500 feet. 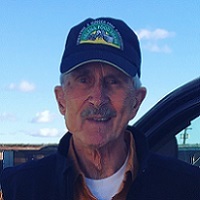 Leroy was born and raised in Mandan, North Dakota and enjoyed many summers of fishing the 10,000 lakes of Minnesota. 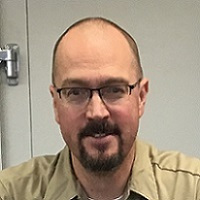 Leroy spent a career in the military and retired in 2010 from the Portland Air National Guard. The camaraderie of the staff and the volunteers at Helena Food Share makes work feel like a second home to Leroy. His passions include cooking, woodworking and reading. Leroy loves a good Mexican meal, but you won’t find him in the mariachi band as he claims to have no talent for singing or dancing.